Whether you’re catering for a football team or a business meeting, a water boiler can turn an ordinarily stressful refreshment break into one that flows seamlessly and is more organized. Not only can you cater to more people at once with tea and coffee, but you can also reap the rewards of continuous hot water, saving time on boiling it as and when people need it. Water boilers are convenient for any establishment, or home, but choosing one that suits your needs just right can take time. Review each of the nine boilers below, and you’re sure to find one that ticks all the boxes for your requirements. For domestic situations, and small events, this electric hot water boiler and warmer will tick all the boxes. 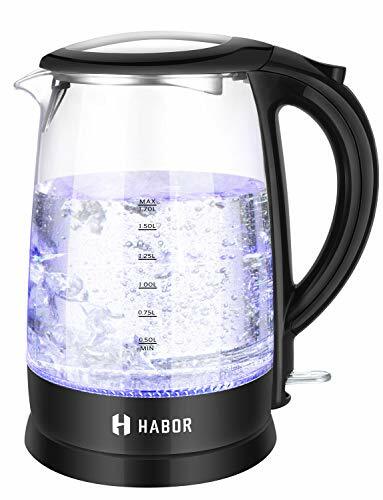 It offers a 4.2-quart capacity, a one-touch electric dispenser button under the spout, and even has a water level that can be seen easily during the day, or night. The best thing about this water boiler is how versatile it is. You can boil water to the correct temperature for both coffee and tea, and it even has a lower boiling point for soup or hot cereal. With dry boil protection and a hardy stainless-steel shell, it’s clear to see this water boiler represents good value for money. Catering to the masses who all want coffee or tea can be tough, especially since water can take a long time to boil. 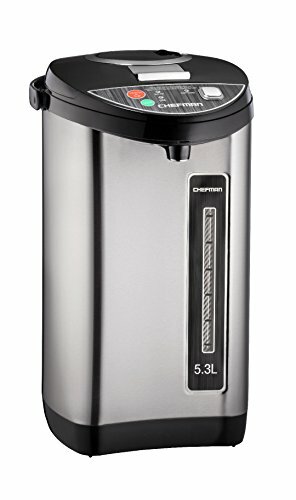 This Chefman water boiler can remove all the stress out of catering, all the while being suitable for a home environment as well. 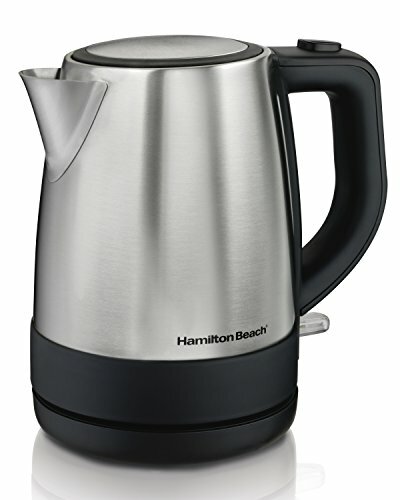 It’s vacuum-insulated to keep water warm constantly and offers 5.3 liters of hot water at any time. If you’ve used all the water, the pot shuts off to prevent a dry boil. Durable, built to last and made of stainless-steel, this boiler will suit any caterer or homeowner to a tee. This KitchenWare Station Water Boiler gives any caterer the opportunity to be both stylish and efficient during the serving of beverages. It has a double stainless-steel layer, and this coating is available in red, blue, gold, green, pink, and silver. It runs on 950 watts and is capable of delivering up to 9.7 liters of boiled water, the equivalent of 41 cups of tea or coffee. 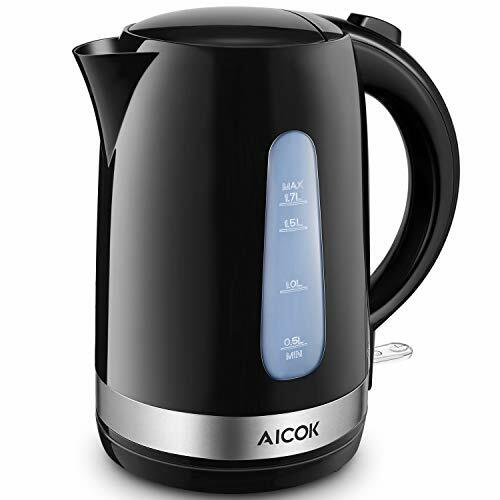 Aside from being CE approved, this water boiler also features superior ceramic thermostat technology – preventing water from overboiling, or boiling dry, and is priced very competitively on the market. Whether you’re looking for a convenient boiler for your business staff room, or you run a food stand with the need for constant hot water, you’re sure to find this water boiler ticks all the boxes. If your home is filled with avid tea and coffee drinkers, investing in a Tiger Electric Water Boiler might just be the answer. Instead of waiting for water to boil time and time again, you can benefit from regular freshly boiled water in an instant. It fits nicely onto any kitchen bench, has a detachable cord, and is even priced affordably for most homeowners. Once the water is all gone, the safety auto shut-off system comes into effect, removing the risk of a dry boil within the easy-clean inner container. Don’t waste time standing by the range, waiting for water to reach boiling point. A water boiler has you covered instantly. 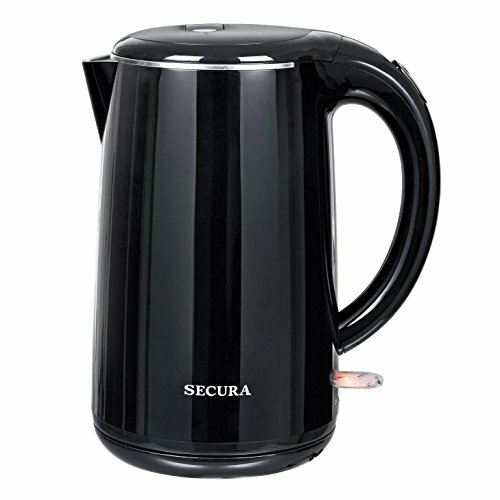 If you’re partial to a hot drink both during the day and at night, this Secura Water Boiler could tick all the boxes. 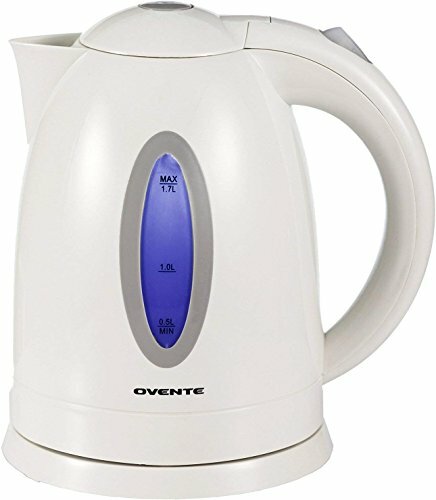 While it acts as a boiler and warmer with a 4-quart capacity during the day, it comes alive at night, providing you with a blue night light to ensure that late night cuppa is easy to get. There is a low-water shut off function, a second dispenser under the spout, and even a built-in cycle to ensure mineral buildup is not a problem. There’s everything to love about this boiler, and it’s about to take your beverage brewing to an entirely new level of convenience. This Panasonic Water Boiler offers consumers the opportunity to choose. As there is no “one size fits all” approach to water boiling needs, there is an abundance of options available, all from the one manufacturer. Opt for a 2.3-quart boiler, a 3.2-quart with or without a vacuum-insulated panel, and a 4.2 quarter boiler with or without the panel, as well. Whatever your budget and preference, Panasonic caters to your requirements. Each of these boilers also features diamond fluorine coating, which helps to extend the boiling time, and allows more elements of tea to be extracted. It also offers three temperature settings for different food and beverages, such as tea, coffee, baby food, soup, and noodles. Even after unplugging the power cord, your water will stay at 90 degrees for up to three hours. It’s clear to see this boiler will tick all the boxes for a homeowner. 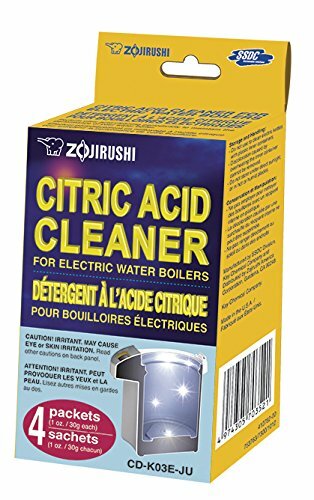 If your household, or club, requires a reliable, affordable and convenient warmer, this Zojirushi water boiler will tick all the boxes. It offers four temperatures for various hot food or beverage requirements and is vacuum-insulated to keep that water warm for as long as possible. The quick temp mode will also prove popular, as it can bring the water to the desired temperature without re-boiling it using a micro-computerized temperature control system. It’s easy to clean, has a non-stick interior and even has a hardy, stainless-steel body. There’s everything to love about this appliance. Without the need for plumbing, you can use this water boiler and warmer in any commercial or home situation. Whether you’re with a group of friends or a part of a corporate event, you can benefit from a boiler that continues to provide water on demand. It has a 5-liter capacity, which means it can provide 21 cups, and keeps it warm for when you require it. Just hit the reboil button, and benefit from instant hot water. 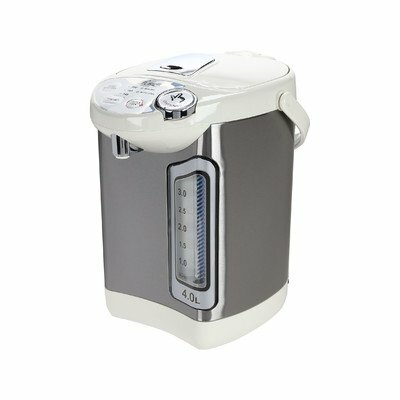 It has a delay timer as well, enabling you to get it ready the night before, available for immediate boiled water in the morning. There’s nothing but convenience on offer with this appliance. Every kitchen needs a bright and beautiful appliance to give it some life, and that’s precisely what this Zojirushi Super Water Boiler delivers. While it provides a service, offering either 2.2 or 3 liters of water, it also features a stunning floral pattern to suit any home décor well. Aside from its looks, however, this water boiler packs a punch regarding power. 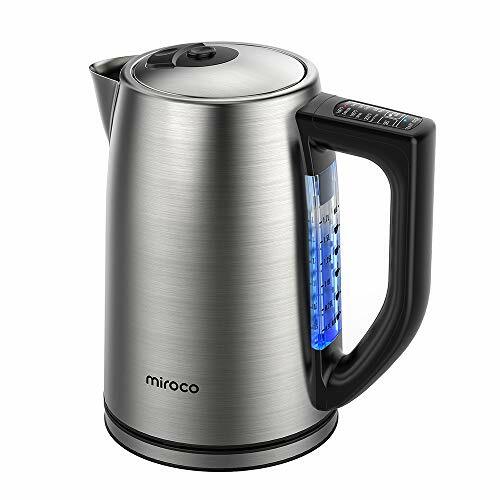 It offers a micro-computerized temperature control system to keep the water boiled and at a high temperature, and it has a dechlorinate and descale mode to both reduce musty smells from tap water, and keep the internal pot clean and shiny. This boiler has an easy-to-clean and non-stick interior, all the while taking up minimal bench space. There’s everything to love about this appliance!